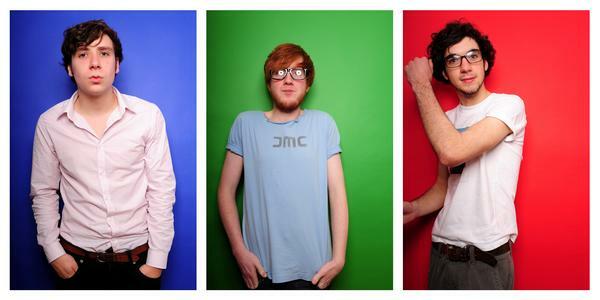 Two Door Cinema Club is an Electro Pop/Indie Rock trio that was formed 2007. Their first album, “Tourist History,” hit stores on March 1, 2010. Being straight from Bangor and Donaghadee, Northern Ireland, their sound is a bit funky and random- quite distinctively dissimilar from American musicians. “Something Good Can Work,” the fifth track off of “Tourist History,” has potential of being a decent song. Lead singer, Alex Trimble, who also performs on guitar, synth, and beats, seems to be capable of singing. But in this case, his voice is somewhat annoying. He sings awfully fast, assuming that was the intention he had for “Something Good Can Work.” Trimble’s quick vocals allow the lyrics to be unclear and choppy. Whatever he does say throughout the tune is pretty much repeated, making this track not something to constantly refer back to. The other two band members, Kevin Baird (bass) and Sam Halliday (guitar), give “Something Good Can Work” the small flavor that it does have. The background music is extremely lively and upbeat, overpowering the mediocre vocals. Hopefully the remaining tracks off of “Tourist History” are a bit more impressive and lengthier, seeing that this recording was slightly over two minutes. If Trimble altered his ways, “Something Good Can Work” could possibly provide a ‘bang’ in the music industry.